Style: A few tips for the Autumn/Winter season Part 3 - Well Dressed Dad - It is a proper menswear blog. Like, with original words and opinions and suchlike. Welcome back to part three of my tips for what to wear this Autumn. If you haven’t already read part one, covering head and shoulders, and part two, which was all about the upper body, you might like to read them before continuing. At this point, you should be appropriately dressed for style and warmth from head to waist, so we’ll take it from there, i.e. what is appropriate leg-wear? Although not strictly part of the cold weather conundrum, I’ll toss in a few words about underwear at this point: Your underwear should not be seen unless you’ve removed your trousers, and make sure you wear fresh boxers every day. So obvious, yet so often not heeded advice. Warm and wind-proof really belong together, but a 3-point list is more impressive than a 2-point list, and if you weren’t out to make an impression you’d hardly be reading this, right? In general, while it may be tempting to go for a super-skinny hipster fit (and let’s face it, this is a classic among middle-aged dads), it’s far wiser to have a loser fit for the cold weather. More air to insulate, and room for wool long-Johns on the really cold days. See, layering also works for your legs, though that is hardly a huge revelation. If the fabric is decently wind-proof you have stage 1 of the cold-weather gear. Another point of advice: Grown men should wear trousers that fit well, and have enough rise to ensure that their underwear (or worse) doesn’t show when they bend over. It’s bad enough that teens feel the need to share their behinds without the world having to endure hairy, old man-butts on display as well. So with the fit decided, what materials are we looking at for our Autumn and Winter breeches? Denim. Thick denim. Arctic-grade denim. Not the thin, soft sort you can happily wear during the summer. Make sure it’s proper thick, raw denim. Don’t fall for the pre-distressed, pre-worn, or pre-destroyed variants though, they’re for The Other People. Denim has the advantage of being tightly woven and hence wind proof, which even though it isn’t thick enough to be an efficient insulating layer, still provides a barrier between your legs and the chilly air outside. Wool or tweed. Wool is natures way of keeping you warm. As long as you’re out of the wind, there is nothing like wool for creating a wonderful layer of insulation to keep your legs nice and toasty. If you’re in the wind though, the efficiency of the wool will depend wholly on how densely it is woven. The denser it is, the less air it will have room for and the less it will insulate, but the loser it is, the easier it will be for the wind to blow right through it and remove all that air you have been busy heating up. A bit of give and take, really. 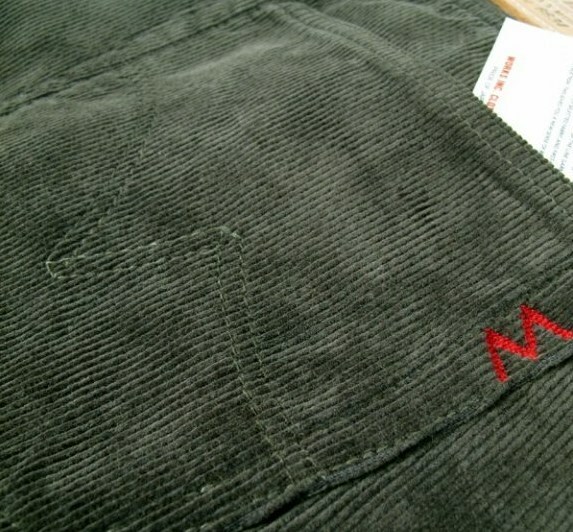 Corduroy. I almost forgot this one, and I hang my head in shame. Corduroy is so very much #DadStyle, and so very very appropriate for the time of year. 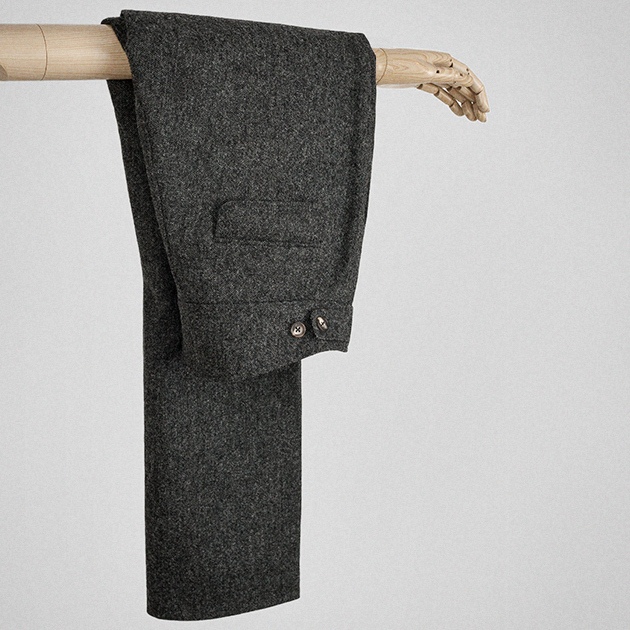 Get the proper thick type and you have both comfort, style and warmth in a single pair of trousers. Plus they feel really good. And you’re not likely to be mistaken for a teenager, as the younger generation appear to not have discovered the goodness that is corduroy. They don’t know what they are missing out on. Cotton twill. This would be similar to your regular summer Chinos-type trousers, but… thicker. Not a difficult concept really, and with similar characteristics and benefits to denim. An outsider choice, but one that appears to be gaining popularity now is Moleskin. It’s a heavy cotton fabric, where it is sheared on one side to create a soft pile which is soft and durable. To my mind, a bit like corduroy without the gaps. Keep an eye out for it, you may really like it. And that’s just about it. Chose a cut that feels good to you, from tapered to straight and be happy. I tend to favour the more tapered cut, as this favours the man of shorter legs, and I like the less flappy feel of the less flared legs. Flares or boot cuts are the choice of people with an “individual taste” (and not in a good way). I recommend keeping it on the straight and narrow. Especially for jeans, you might like to add a turn-up, and that is a fine idea. A turn-up adds a bit of visual interest in a place where you’re normally just waiting for footwear to peek forth. Again though, keep the height of the turn-up in relation to the length of your legs. A neat, slim turn-up on short legs adds a bit of length, whereas a really wide turn-up will tend to make you look a little stumpy and odd. So, what to put on your feet? I feel a bit blinkered at the moment myself, as I strongly feel the urge to go with a pair of proper, commando-soled leather boots. In truth though, you probably need at least two pairs of footwear, depending on whether it’s cold and dry, or cold and wet outside. I just feel really bad taking fine, leather-soled footwear out in the wet, slushy weather. It doesn’t matter how dedicated you are in your maintenance, you’re still going to get water seeping into places where water has no business, and leather does not like getting wet. So, have a nice pair of boots for the proper winter days, and something more rubberised for the days when it’s wet outside. This will simplify your life no end and save you from fussing around trying not to get your boots wet. Finally, and by no means of little importance: Socks. This is where you really want wool. Nothing keeps your feet warm like proper wool. The dual functionality of keeping a nice, thick layer of stationary air and also the way it transports sweat away from your skin means wool is without doubt the way to go. 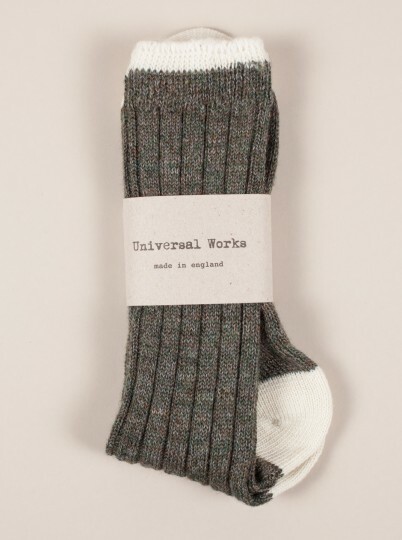 And as it happens, it appears our trendy suppliers of finery have cottoned on to this and most of them now have some decent wool socks on offer. Don’t be to put off by them being on the pricey side, take care of them and they will serve you well. By this I mean: Take heed of the fact that knitted wool will wear through if you wear it like your normal cheap cotton socks. Put your proper socks on when you’re going outside or when you want to pamper your toes inside, don’t abuse them. You could also accept less than 100% wool and buy a blend that is mostly wool, which will no doubt add to their lifespan. 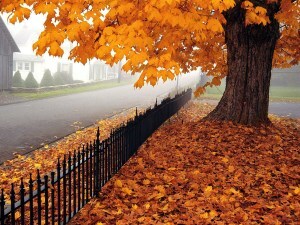 And that concludes my tips for Autumn and Winter! Was it useful at all? How about some alternative fabrics? Good shouts there. To me moleskin is a wonderful fabric but is too soft to really work on a pair of 5 pocket jeans as in my experience it hangs funny and if it’s button fly, the fly keeps on coming undone – it has to be a more chino type of pant. I think you were doing very well indeed on the denim front until you mentioned boot cut jeans for sooth these are the very devils work. 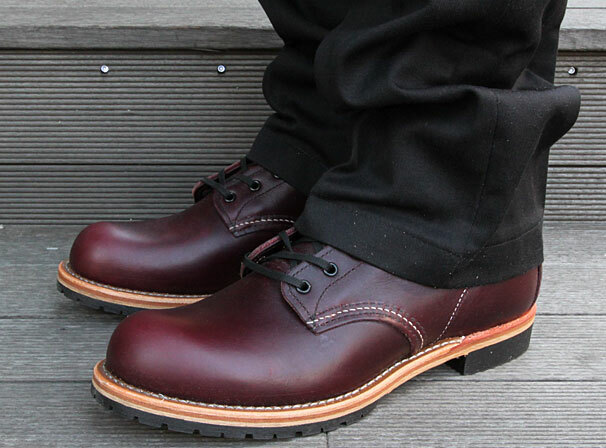 And you’re right, those RedWing Beckmans look absolutely pukkah. I think you misunderstood me with regards to boot cuts! 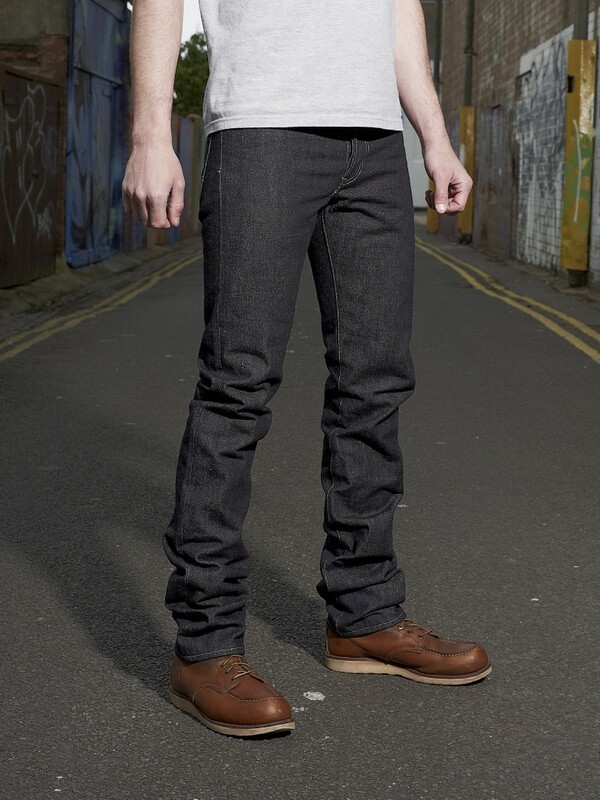 I’m very much in favour of the tapered look, and detest “flares” (of which I consider boot cut to be a mild variant). Good post. 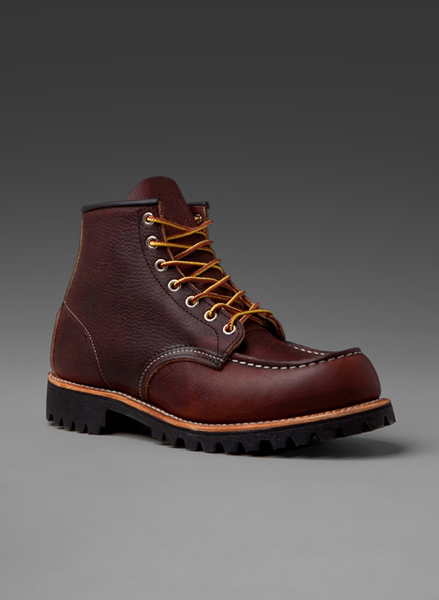 IMO You can’t beat a pair of Thorogood 6″ moc toe boots on price and comfort. They require very little breaking in at all, almost ready to go straight out of the box, the quality is the same as Redwing’s. Thanks, Mark, I’ll have a look at them! Good series of posts Nicholas. I could quibble over some of your style choices (I’m not a fan of Red Wings for example) but that’s a matter of personal choice. The core of the article is solid. It occurred to me that the title of this series says Autumn. Is there going to be a similar series of Winter posts? Thanks, Brian. There are no absolute rights and wrongs when it comes to matters such as these, so it’s OK to disagree a little! I think these will mostly do for Winter as well really, it’s just that when I started them Winter was still a little way off! Of course I just noticed that the last line of your post answered my Winter question! I’m just finishing off the first post for my new blog and it deals with what Winter means in various cities of the northern hemisphere. 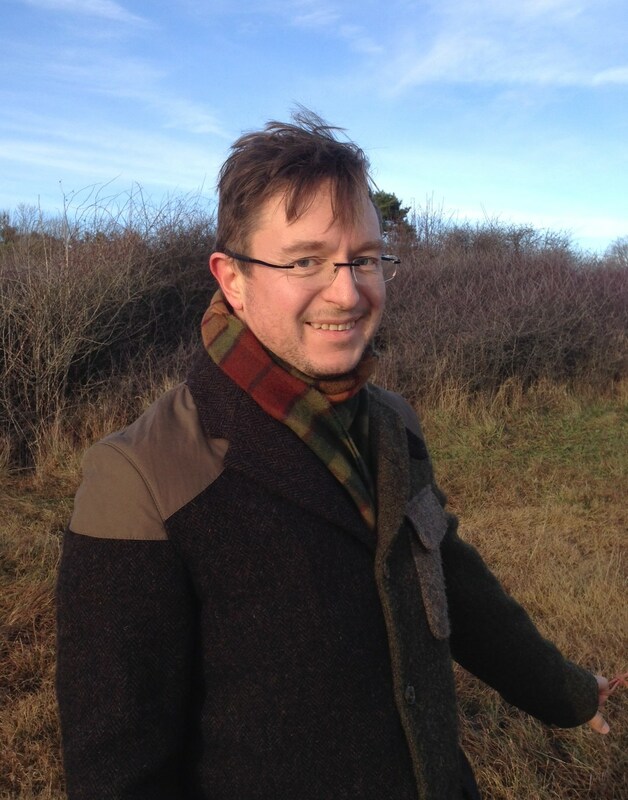 One of the things I’ve learned is that Southern Scandinavia is not as cold as I thought. Not sure how cold is cold where you are, but here we’ll se about -25C at the coldest. That’s nippy enough for me with the humidity near the sea, and wind-chill when cycling! -25 and damp is a bad combo! Here is a draft of my post: your comments would be appreciated. Excellent round up man, I’m only 28 but still enjoyed it. My Red Wing chukkas are wearing nicely but the ones your pictured with the commando sole are sweet. Hey, any recommendations on moleskin options? Most sources seem to be in the UK, so I’ll have to gamble on fit and quality. Any you’ve fiunf you like?